This has been a year full of surprises on the track and they seem to keep on coming in the off season. Jenson Button's move to McLaren and Michael Schumacher's mooted decision to make a comeback with Mercedes are both dramatic moves in the aftermath of a season of great change. It's a good moment therefore to pause and reflect on some of the seismic changes that have happened during the course of 2009 and where it leaves Formula 1 for the future. In 12 months, we have lost three major manufacturers, Honda, BMW and Toyota and another, Renault, is poised to begin a phased exit. Perhaps even more significant for the long-term health of the sport is the Resource Restriction Agreement, which controls how much teams can spend on F1. 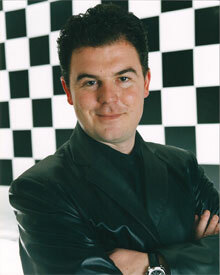 The teams put this agreement in place in the summer, having rejected Max Mosley's ‘Budget Cap' idea. It was Ferrari and Toyota who blocked the cap, and now one of them has gone. Over the next two years F1 teams will reduce in size dramatically. By the end of 2011 each will be allowed 280 employees, which in some cases is a drop of almost three quarters. It will be hard for a team to spend more than £60 million a season, which means that when you add up the prize money and sponsorship revenues, many teams will actually be profitable. This in turn has attracted four new teams and brought in a new generation of business figures to the sport, like Air Asia's Tony Fernandes and Mangrove's Gerard Lopez, as well as Virgin, Lloyds TSB, and You Tube's Chad Hurley. Many people will regret the end of the manufacturer era, because the car makers were a powerful affirmation of the sport's massive global appeal. A car racing series which considers itself to be top of the tree should have the world's leading automotive brands involved, surely? And yet they haven't really been a force for good, since they entered en masse during the 2000s. They drove up the costs of competition, by spending freely and poaching other teams' staff, to the point where established names like Jordan and Williams were almost put out of business. For all the prestige manufacturers bring, they also make it hard for independent teams to survive and it has been proven over many decades that it is the passionate racers who run teams like Williams who are the lifeblood of F1. The sport is now back in their hands. Where manufacturers have benefited the teams as a whole is by being a powerful presence in the background when teams were facing down former FIA president Max Mosley and Bernie Ecclestone on matters of governance and revenue sharing. The teams now get a far bigger slice of the commercial pie than they did before the manufacturers started talking about a breakaway series. And the regulatory structure is now more balanced. So the landscape has changed significantly; what we will see starting next season is an F1 which is much more heavily skewed towards independents. The change is startling; at the start of the 2009 season there were 10 teams on the grid, of which six were manufacturer-backed. In Bahrain next March there will be 13 teams of which just two will be manufacturer-backed. The manufacturers will come again, of course, and some new ones are likely to come in, like VW, in the next few years. But the difference next time is that the sport will be ready for them. Having lived through a dramatic boom and bust in the 2000s, the stakeholders have come to their senses and put in place a framework, which makes it hard for a manufacturer to come in, as Toyota did and try to win by outspending the rest. 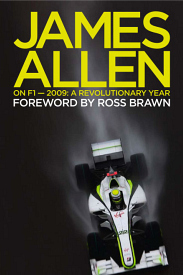 James Allen's book of the 2009 season, A Revolutionary Year, is now available at £9.99 plus P&P. Click here to buy a signed copy.